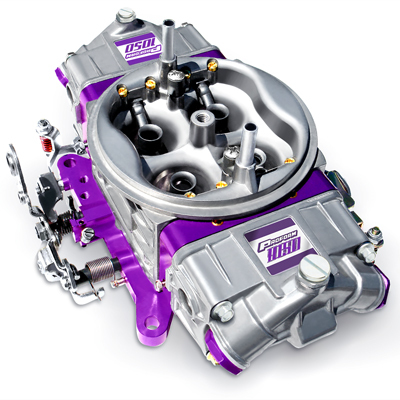 Despite the proliferation of electronic fuel injection (EFI), carburetors are still a viable option for hot rodders and even some racers. Why? Because carburetors offer the purest form of fuel induction where fuel and air are mixed and pulled into the intake manifold. It’s easy to control the performance of a carburetor, which is why some racing series still use them – especially in the more budget-friendly classes. Speaking of budgets – another reason carburetors are still a popular choice today is because they are economical. 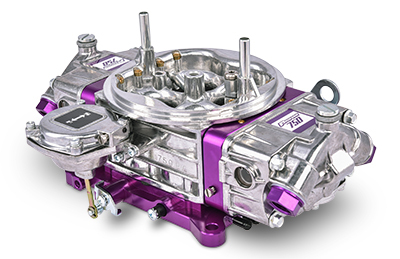 Hot rodders can get more bang for the buck with a carbureted engine vs. fuel injection. And certain racing divisions only allow carbureted engines to compete. But can the simple carb make as much power as EFI? According to carburetor and EFI experts, they can. 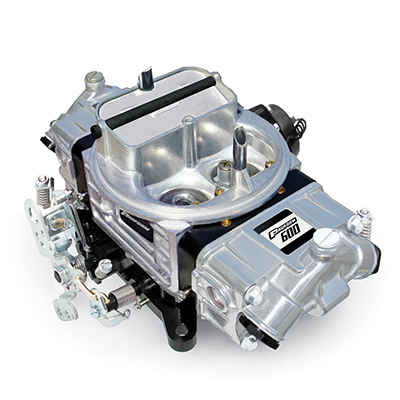 The carb has a performance advantage over many EFI applications. 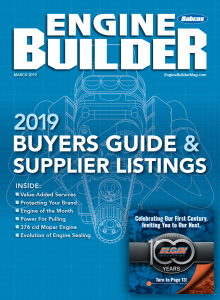 When comparing a carb to EFI, the carb typically makes more power because it shears the fuel into droplets, allowing it to mix and stay suspended in the air inside the manifold. The atomization reduces the chance of the fuel dropping out of suspension, which creates more efficient combustion. EFI, on the other hand, is sprayed under pressure, and the fuel is not as easily atomized into the air stream. Reversion pulses inside a typical EFI intake plenum can allow the fuel to separate, which will reduce combustion efficiency. The key to making a carburetor work optimally for an engine combination depends on the airflow capability and how it atomizes the fuel into the combustion chamber. 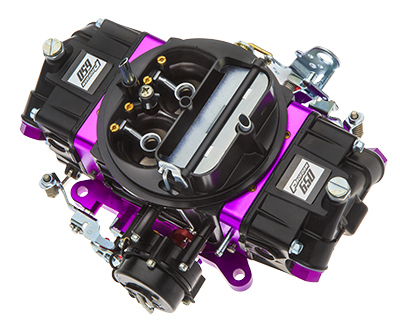 If the carburetor is too big it will be rich at idle and lean at wide-open throttle (WOT). In this case, the fuel is not breaking at idle and there’s not enough vacuum at WOT to pull fuel through the boosters. To determine how much cfm is really needed, you have to be realistic about the engine combination and use. The combination should already be mapped out for things such as camshafts, converters, heads and intake, vehicle weight, etc. The components used here can have an impact on the type of carburetor you choose. Experts caution that getting caught up in the cfm ratings can take you down the wrong path. 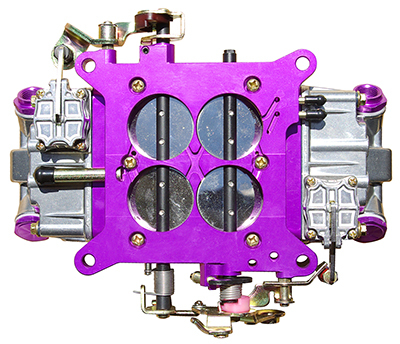 It is better to instead look at the type of booster, venturi size and butterfly size when determining the right size carburetor for an application. There is a simple formula many engine builders use to help them select a carburetor – Engine CID x Max RPM/3456. Let’s say you want to calculate a Small Block Chevy 350 with a redline of 6000 rpm. You would take 6,000 divided by 3456 = 607.63. In this case, a 600 cfm carburetor would be plenty sufficient. Our formula figures 100% volumetric efficiency, which most engines are not. You can also use an online “Carb Calculator” available from several web resources via a simple Google search that can put you in the ballpark just by putting in a few key specs. From there, carburetor tuning is done the old fashioned way – with a few wrenches and a screwdriver. Many top NASCAR engine builders and drag racers of the past tuned their engines by monitoring the spark plugs. The plugs tell the story about what is happening inside the combustion chamber and if it’s lean or rich. While EFI may watch these things for us today, the tools and knowledge you’ll need to make adjustments are more complex. There are still a lot of good reasons to choose a carburetor for your next build.